Progress Lighting Squares Collection Outdoor close-to-ceiling fixture in white color, has polycarbonate frame for impact resistance and durability. 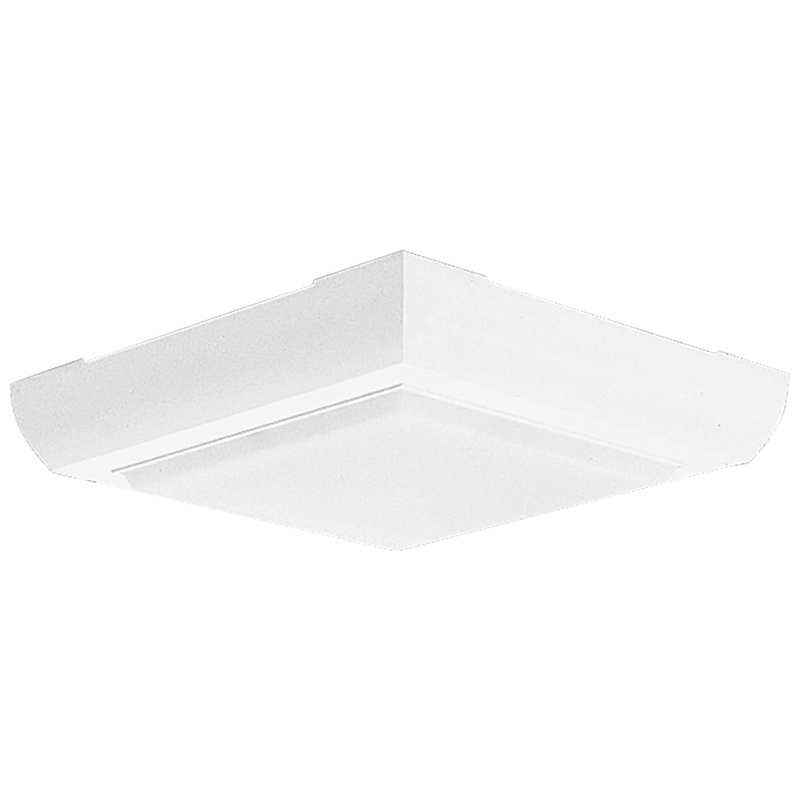 This fixture features white acrylic snap in diffuser shade. The fixture has a voltage rating of 120-Volts AC. It supports two twin compact fluorescent bulbs with a power rating of 7-Watts each. The fixture includes mounting strap for outlet box. It is suitable for use in damp areas. The fixture meets UL, cUL and ADA standards.